Last year we surprised ourselves by getting excited by the arrival of a doorbell. 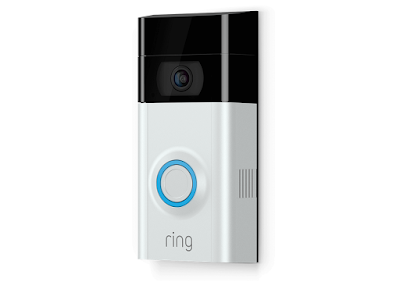 However, the original Ring Video Doorbell was no ordinary doorbell, and we marvelled at being able to see who had arrived at our front door, and talk to them from the other side of the world. Granted, we were never actually on the other side of the world, but as we get a lot of deliveries to Test Pit Towers, the Ring has proven exceptionally useful. So hark another Ring, as we check out the new Ring Video Doorbell 2. We must admit to rather liking the suffix 2 on a product, as opposed to a 'Plus' or 'Advanced' as it makes it sound somewhat more cinematic. 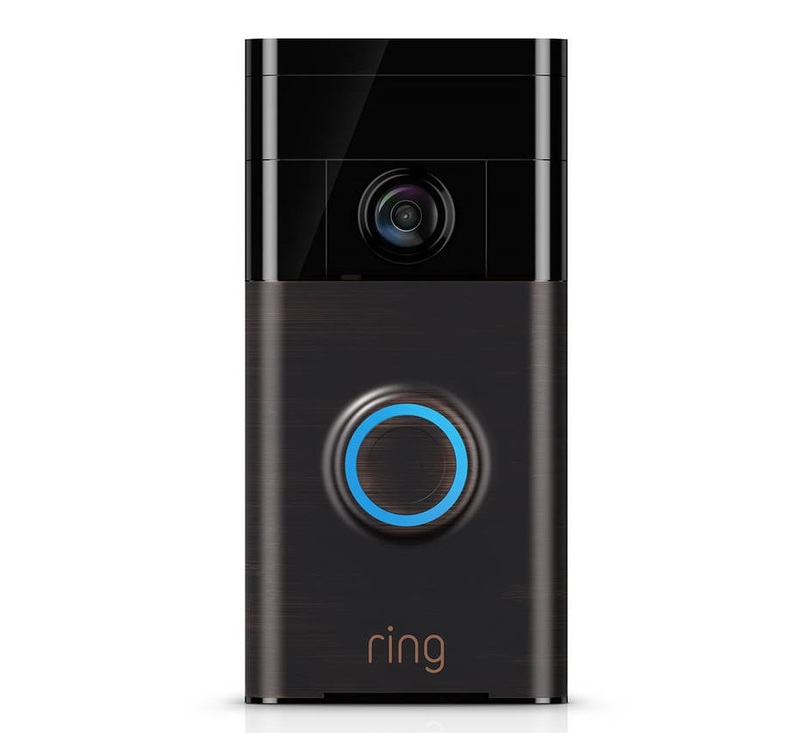 And cinematic is the order of the day here, as the Ring Video Doorbell 2 is a camera onto the world of who knocks at your door, drops off your parcels, and even attempts to break into your house. As with the original Ring, the Ring 2 features a simple interface of a single illuminated button below a camera. That camera has been improved upon over the first Ring, which had a mere 720p resolution, up to Full HD 1080p. Comparing the footage from the old and the new through the Ring app makes a huge difference, and both live-streams and recorded clips are now far clearer. You get a choice of face-plates, which is nice, so you can pick either silver or nickel to better match your door. Another huge improvement over the first version is the inclusion of a removable, USB-charged, battery pack; one that can slip out from the underside of the unit, and plug into the same charger that likely powers your phone. Convenient indeed. One thing about the Ring Video Doorbell 2 that isn't overly convenient is going about installing it. If you want, you can mount your Ring 2 on your front door wirelessly, and have the alerts come only to your phone via your house WiFI. Doing so would mean a quick and easy installation (all tools are included, as well as two angled mounting plates if you have an awkward portal (that's what she said)) but it would mean you'd miss callers if your phone was off or on silent. Therefore we went down the wiring up the existing doorbell route, and were initially quite intimidated. Anything that involves cutting power to your home is always going to be worrying, but credit to Ring as the included instructions were great. Wiring up the older ding-dong-doorbell was surprisingly simple, if somewhat involved, but the pack included absolutely everything you need - even the electronic components you require to wire in if your doorbell is digital. It took about an hour, but the finished result meant that not only did our phones react when the Ring 2 was pressed, but also the doorbell in the hallway. Win. The Ring app is still a pleasingly simple affair. You can peer through the doorbell's camera any time you want, including at night thanks to the night vision. 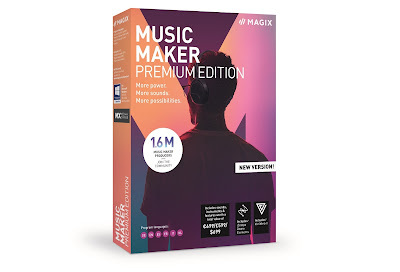 However, merely watching the live stream might be handy when seeing who is calling, and for talking to them remotely (can you leave the package with the neighbours to the right? Not the left. They hate us), but it can't do much in terms of crime prevention and reporting. For that, you need to pay up. 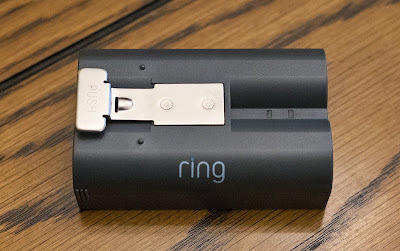 Although the original Ring used he same system of a paid-for cloud recording service, we were kind of hoping Ring had dropped it entirely and made it free for the sequel. That said, a monthly plan is still only £2.50, or £24.99 for the whole year. It allows you to store all footage from the Ring 2 for 60 days, to access and download whenever you need it. 60 days is also about twice as long a storage period than other paid-for cloud services like this, so fair play to 'em. So, although the Ring Video Doorbell 2 is slightly larger than it's predecessor, and more expensive, the improved camera, ease of charging, and choice of face-plates makes it a worthy investment indeed. You might tut at having to set up yet another direct debit to pay for the storage, but a couple of quid each month for constant video recording, in Full HD with night vision, is more than worth it, we say. Plus, this is a doorbell that lights up! We're living in the future!